If you wanted to learn more about your Friesian horse, then this year’s AGM certainly was an educational opportunity for anyone that was lucky enough to attend. 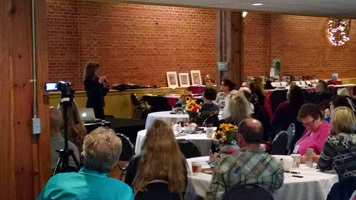 There were nine guest speakers covering topics including dressage, saddle fitting, and driving and health topics in the areas of nutrition, genetics, orthopedics and research. KFPS Executive Director, Ids Hellinga, provided us with an update as to the direction the KFPS is taking for the future. 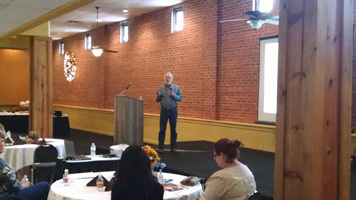 Dr. Kory Niswender, an equine reproduction specialist at Equine Reproductive Services in Weatherford, TX, took part in the educational program for Saturday. Dr. Niswender took us through the process of breeding the mare as well as a discussion of embryo transfer. He stressed the key points where breeding the Friesian mare is different from the light breed mare, outlining his protocols that lead to his success with Friesian mares. Dr. Karen Davison, an equine nutritionist and Sales Support Manager with Purina Animal Nutrition opened up the educational program on Sunday. She focused on the importance of feeding the young growing horse, beginning by emphasizing the impact that correct nutrition of the broodmare can have on the resulting foal. She discussed topics like body scoring and the importance of the correct levels of protein in the horse’s diet. 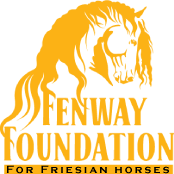 Dr. Kathy Fox of The Fenway Foundation For Friesian Horses followed Dr. Davison. 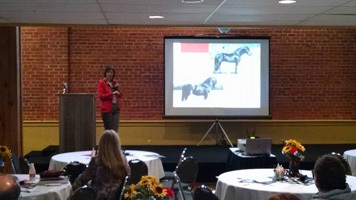 A discussion of the current research involving the Friesian horse, both here in the United States and in the Netherlands was presented. 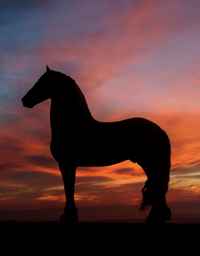 All that is being done to help the Friesian horse become a healthier, stronger breed should encourage Friesian horse owners to continue to stay involved. 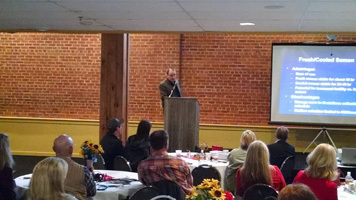 Dr. Reese Hand, an equine veterinarian and board certified surgeon with Equine Sports Medicine and Surgery of Weatherford, TX, spoke next with a focus on Osteochondrosis. 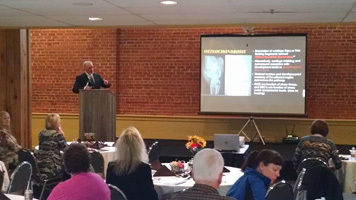 He defined further the term osteochondrosis and went on to explain the difference between osteochondrosis dessicans and subchondral bone cysts. Radiographs helped to show us what these lesions look like and where they are most likely to be found. Causes and treatment were discussed as well as some guidelines for prevention. 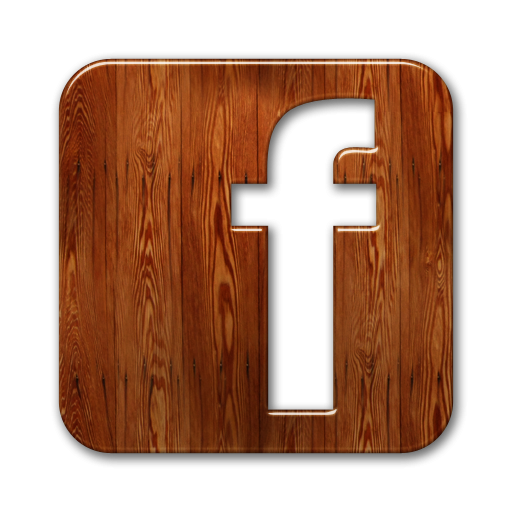 The video presentations of the five health related topics can be found under the “Education/Links” tab of the Foundation’s website. We thank all the speakers for their time and expertise.